When I was in the 3rd grade, several friends and I started a talk show called Style Files. My mom filmed as we sat around the couch in the living room, water filled coffee cups on the table in front of us, notes in hand, poised to ask each other the most scintillating questions we could contrive in reference to the world of celebrity fashion, news and gossip. In conjunction to our talk show, we printed a fashion magazine called Style File, complete with Cindy Crawford inspired photos (of us, of course) taped next to the articles. Obviously, we thought we were pretty cool. To this day, I still keep fashion journalists on a pedestal that I erected and never took down after my "talk host" days for Style File. As a result, I find myself online reading and pinning fashion articles- a lot. 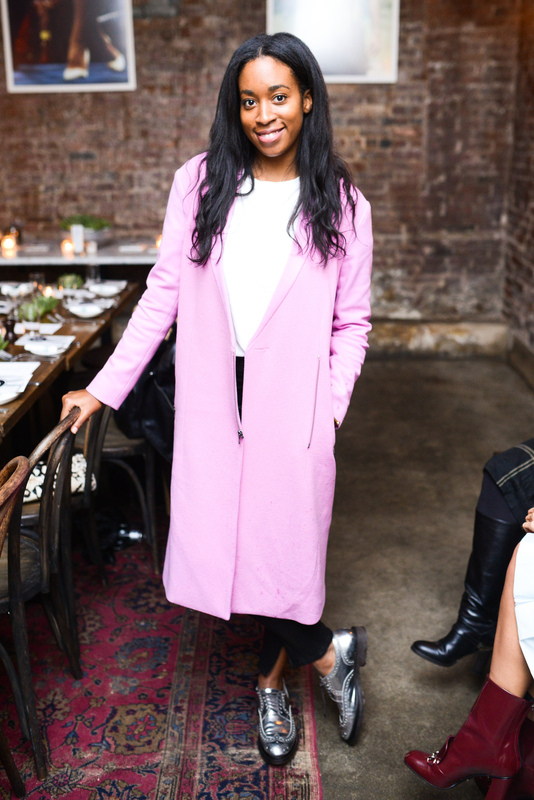 While in the midst of my digital fashion news search, a name that has continuously popped up in the byline of the articles I'm reading is Chrissy Rutherford, Digital Editor for Harper's Bazaar. According to Chrissy's Harper's Bazaar bio, she cultivated her digital savviness while working as an assistant at InStyle.com, and then went on to be the shopping editor for FashionEtc.com. Chrissy's love for fashion flourished during two summer internships in the fashion closet at BAZAAR. When she's not catching up on the latest high-fashion news, covering industry events or interviewing her favorite models of the moment, she enjoys shopping and riding her bike around downtown New York. After reading Chrissy bio, I knew I just had to interview her as part of our 5 Questions series. Thankfully when I reached out to Chrissy she was happy to do it. I started off as a fashion intern at Harper's Bazaar. I worked for the fashion market director and her assistant. It was a challenging experience as well as incredibly rewarding and one that I will never forget. After spending years as a teen reading Bazaar, I finally got to see how it all really works. "This too shall pass," from my parents if I was ever going through a hard time, like when I was trying to get a job in fashion after college. Obviously the industry is very competitive and it was the beginning of the recession, so job hunting was by no means easy. I had to be patient, but I always knew that this is what I was meant to do. If you want to see Chrissy's work, you can follow her on Instagram here and read her articles here! A few days ago I received a text from one one my girlfriends telling me that I absolutely must see Diana Vreeland's, The Eye Has to Travel. "It's so inspirational, she makes you feel okay for being different" - she said. I remember reading articles about Vreeland and definitely thought about seeing the movie when it was released, but upon further introspection I realized that somehow I'd actually missed it. So I decided to dedicate the following evening to The Eye Has to Travel. It was an incredible 1 hour and 26 minute glimpse into the world of fantasy and fiction that Vreeland magically spun together. Click here to read the entire review of The Eye Has to Travel by The New York Times.